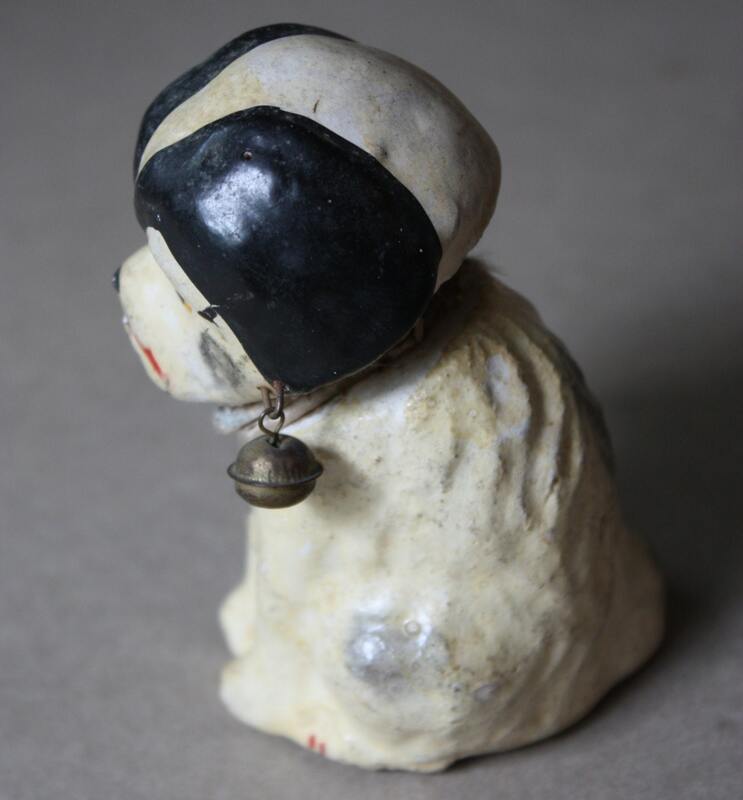 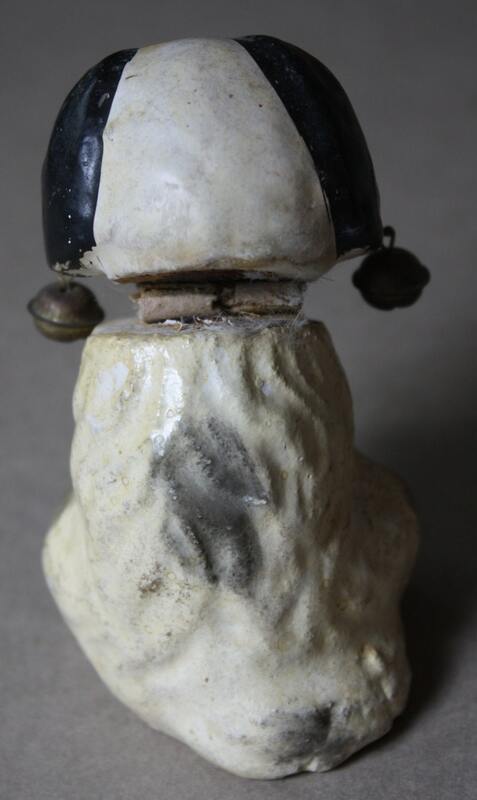 This rare antique, early 1900s, nodder dog is comprised of papier-mâché and metal (bells for the ears). 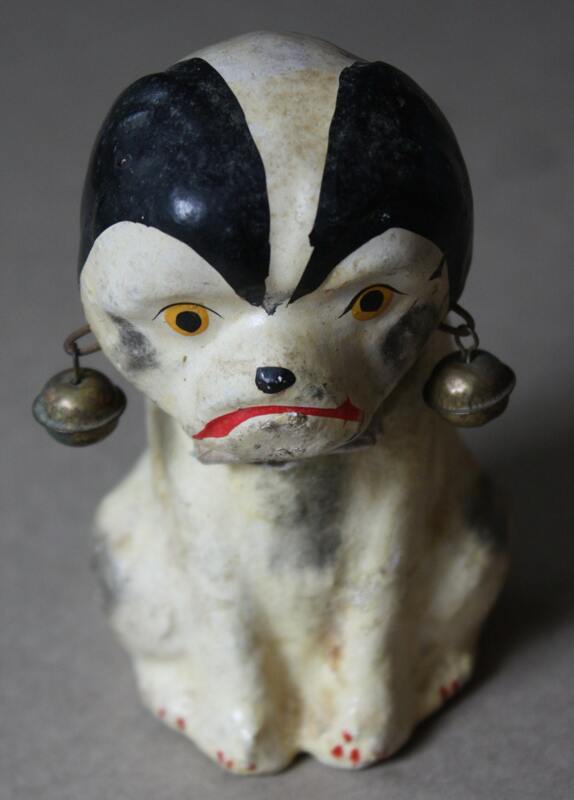 His features are painted, from his sad eyes and forlorn expression to the shading on his haunches and chest. 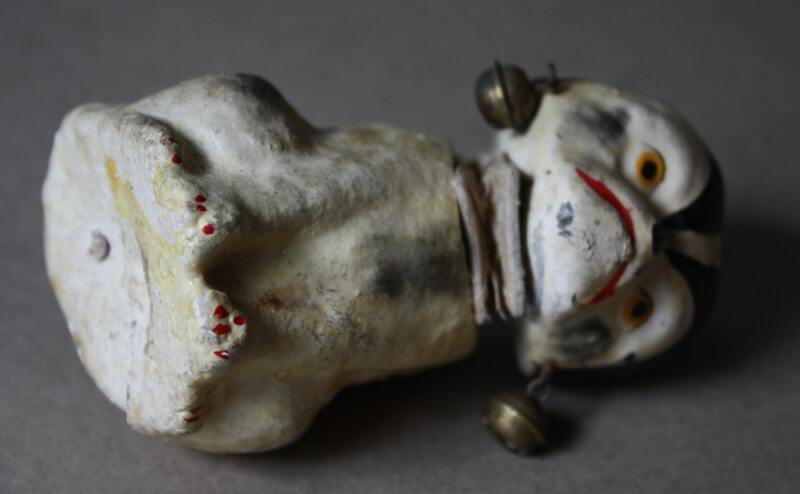 His nodding mechanism was created with what looks to be folded heavy paper. 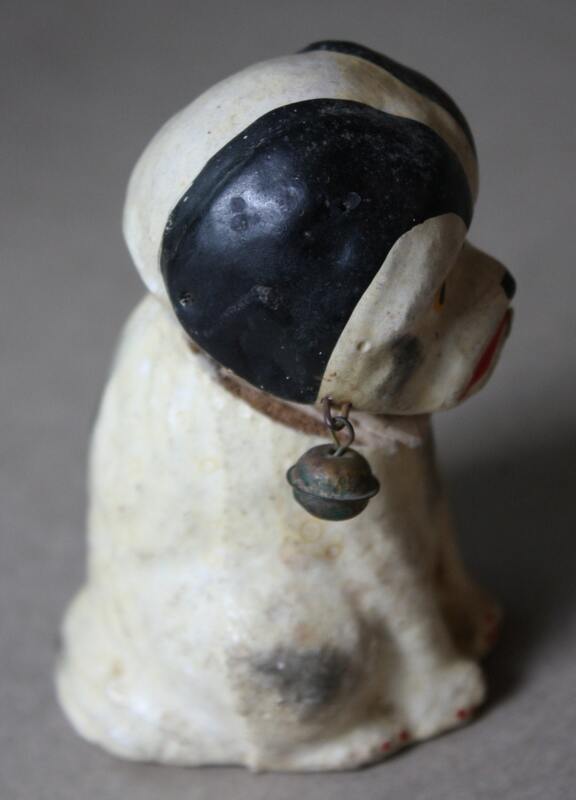 From his brows to his paws, this pup is approximately 3" in height.